Perfect for bowl turning, the jaws of this chuck grip round stock as well as expand within a recess turned in the back of the workpiece. Twist adjustment moves jaws concentrically from 2" to 2-3/4" O.D. Chuck wrenches included. I bought this to go with my variable speed 12x18 lathe. Works great and holds strong. 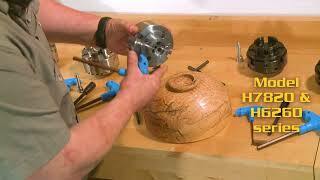 I've been turning small bowls and jar lids with it. 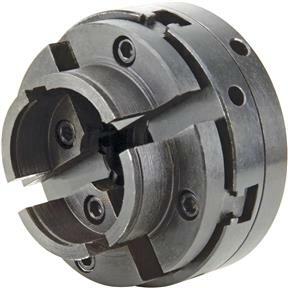 Heavy duty precision Chuck I have used it heavily. I bought this chuck to help me get started in turning. It is very easy to use and holds very secure. Would buy again. Love all my Grizzly tools.